Partying in Playa del Carmen with a STYLE! 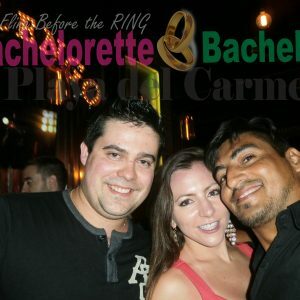 Are you wondering where to go out for some awesome nightlife in Playa del Carmen? 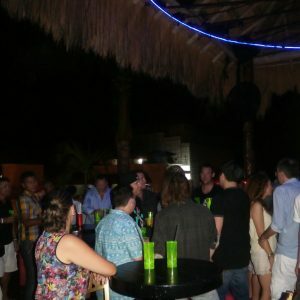 Playa del Carmen’s nightlife is almost legendary and sets itself up one of the best destinations for going out and for staying in the Mayan Riviera along the coast, many choose one night to come to Playa del Carmen and party for real. Playa Del Carmen offers some of the best nightlife in Mexico, if not the western side of the world. This clubs are for those who like to party in the early hours of the morning. There are many bars to choose from like Palazzo Disco (one of the best nightclubs in Playa del Carmen, it’s large, spacious, and you have a great dancefloor often boasting live acts or dancers) or Coco Maya (a beachfront club with a large open space ) and many more. This clubs is for people who prefer a more chilled out vibe like the Kitxen (a popular hangout along 5 Avenue, it’s an open-air bar with a small stage) and Fah (an open-air space at street level, so you can enjoy your drink and some live music as you watch the world go by) and many more to choose from. The best days to experience Playa del Carmen Nightlife. We highly recommend planning a night out for Saturday! There is a good vibe and a lot of energy. To make your party unique and in STYLE rent your own private YACHT and explore Riviera Maya. Experience the breath-taking beauty of Riviera Maya and cruise on some of the biggest boats in Playa del Carmen. Enjoy the ride to one of the most beautiful reefs in the world, where you will be able to snorkel, swim with turtles and do aquatic activites. Enjoy snacks while on board, champagne showers and party until sunset. You’ll enjoy the morning breezes of the Mexican Caribbean surrounded by your family and friends on our beautiful yachts. We offer different options that can help you have a great day in the Playa del Carmen, we have boats for groups of any size and also arrange very special custom tours for couples or any size of group.